Millions of people suffer from debilitating chronic pain from arthritis, fibromyalgia, low back pain, chronic headache syndromes, neuropathies, or other painful conditions. People contending with chronic pain often spend considerable time, energy, and money searching for answers and visit multiple doctors, trying anything to find relief. When the source of pain is unclear or difficult to diagnose, their experiences are additionally frustrating, exhausting, and depressing. This book offers a hands-on approach to improving life with chronic pain, whatever the underlying cause. As a sociologist, psychotherapist, and someone with firsthand experience with chronic pain, the author understands the challenges that accompany pain and has devised realistic strategies to fare better. Paintracking provides a systematic method that empowers individuals to navigate the otherwise overwhelming array of treatment options and incorporate the effective ones into their lives for continued, incremental progress. Its cornerstone is a self-study tool that enables readers to improve. Readers are instructed on how to track and interpret their experience, whether using a pen and paper or the online tool offered as a companion to the book. By cultivating awareness of how their body responds in different situations and to different therapies, readers will become capable self-advocates, able to make informed choices. Written in clear, understandable prose and filled with sociological insights, therapeutic lessons, practical tips, and empathy, this book offers realistic hope to individuals who often feel hopeless in the face of confusing, debilitating pain. Deborah Barrett, PhD, MSW, LCSW (Chapel Hill, NC), is a clinical associate professor in the School of Social Work at the University of North Carolina at Chapel Hill and a psychotherapist in private practice. She has published self-help articles on fibromyalgia, as well as scholarly papers on health and illness, and public policy. 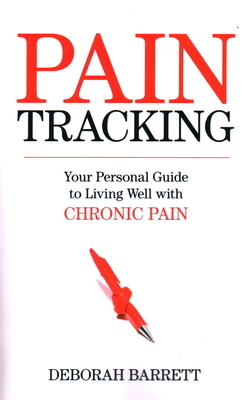 She hosts a companion Web site to this book at www.paintracking.com. "With great empathy and insight into the prejudices that many patients encounter from physicians and caretakers, as well as their own resistance to exercise and social activities, [Deborah] Barrett urges readers to direct their care through recording patterns that emerge in the up-and-down cycle typical of many chronic pain sufferers.… Her encyclopedic guide to leading a satisfying life will help readers tame what she calls ‘pain’s cruel whims.’"
"Presents a wide variety of tracking options.... Barrett's counsel on all things chronic-pain related is important. But it is also great advice for anyone who recognizes that each advancing birthday beyond middle age presents greater physical adjustments." "This wide-ranging, well-written book aims to empower readers and will be of interest to chronic pain sufferers, care-givers, and health-care professionals. An in-depth look at how individuals can help themselves, this book is a powerful motivator and can help support significant life changes. Highly recommended."